We note with sadness, but also profound respect, that Dr. Herb Fred passed away on Dec. 30, 2018. 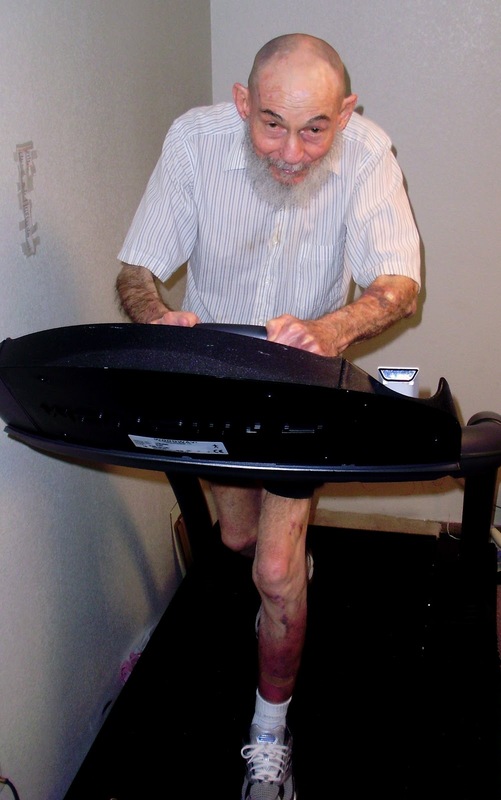 He is believed to have accumulated more documented lifetime running miles--253,100--than anyone else in the world. He had to stop running in 2016. Below we show only his miles through 2011. You might want to note that he ran 4917 miles in 2009, his 80th year. Photos of Amby Burfoot's visit with Herb Fred here. "You will note that I ran 2886 miles in 2011 and that my total life mileage is 244,950." See below for year-by-year totals. Carolyn Mather ran 7921 miles in 2018. 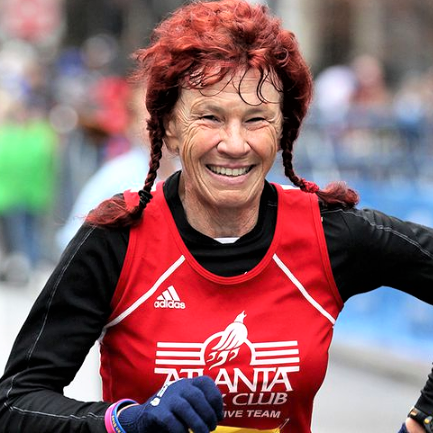 Here's an update from Carolyn Mather, who we believe has run more miles than any other woman. As you'll see below, she now has a lifetime total of 217,942 miles. We also want to note that in December, Carolyn won her age group (70-74) at the USATF National Club Championships in cross-country. Despite my best efforts I ran way too much in 2018. It seems to be the only way I can manage missing my dear husband, but I have made a resolution to cut it at least in half in 2019. The main motivation is that I am not getting faster and an average of 20 plus miles a day is now taking up too much of my waking time. I need to do other things besides run. With that said my total for the year was a crazy 7921. I truly promise this was my swan song year for so many miles. That brings my lifetime total to 217942. I am hoping to get to at least a quarter of a million if I live long enough but not any time too soon. That makes eight years over 7000 in the past 13 years. It is also my highest total of any year so it is a good time to say goodbye to high mileage. My name is Reggie Moore, age 60 from Naperville, Illinois. 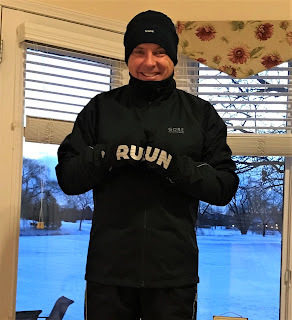 On September 23, 2018, I crossed 100,000 lifetime miles.This fall started my 44th year of full time running which began in my senior of high school cross country, through four years at Bridgewater College, Virginia (Cross Country and Indoor/Outdoor Track) and then on to a lifetime of running. Through my 43 years of running, I have averaged in excess of 2,300 miles a year running all but a small handful of days each year (0-5 days). During my peak years in my 30s, I was running over 3,000 miles a year while actively training for 2-3 marathons a year. For the past two years including 2018, I exceeded 2,500 miles at ages 59 and 60. I have been blessed and fortunate to have a strong body that can withstand daily running with no serious injuries throughout my running career. 18 of 26 marathons under 3:00, 5 under 2:50, best marathon of 2:46:17 at Twin Cities Marathon in 1995. Best marathon moment: 1996 Boston Marathon (100th), saw Bill Rodgers passing me at top of Heartbreak Hill and ended up tying Bill to the second in a clock time a 2:53. My net time was faster. Relayed my dream story to him in person. Some running Personal Bests: 5K: 16:38, 10K: 34:52, Half Marathon: 1:17:12, 25K: 1:32.20. My 5K, 25K and Marathon bests were all within a span of 6 weeks at age 37. 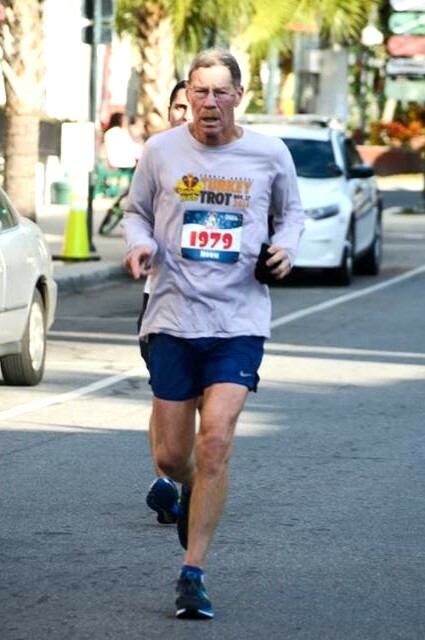 Been fortunate to have run with or have tied my running heroes that got me inspired/started: Bill Rodgers (tied at 1996 Boston), Frank Shorter (solo training run), and Francie Larrieu Smith (tied at 1996 Peachtree 10K). While not at an elite level, I have been blessed to have had a full and productive running career and have no plans of letting up in my 60s.